You can throw rabbits off a cliff. I spent twenty minutes last night doing so. There’s a quest for killing 45 rabbits, but mostly I did it because it was funny. Their terrified squeaking was hilarious. 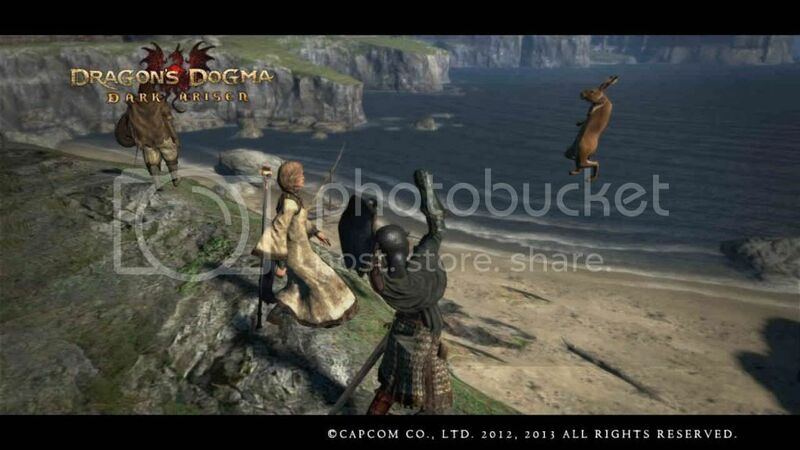 I submitted this to the Capcom Dragon’s Dogma website and when I woke up a whole bunch of Japanese people had clicked Like on my screenshot. I guess Asians are united in their hatred of lapines.